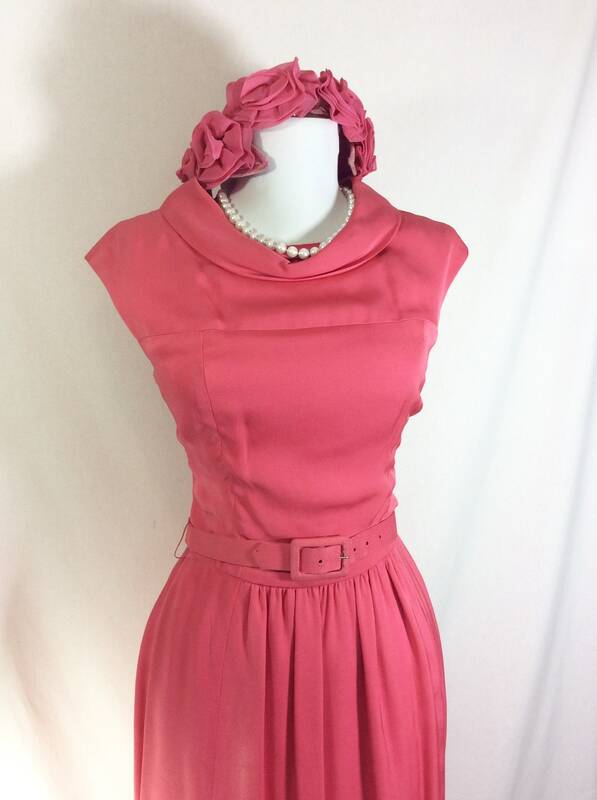 Show off your style and class in this beautiful vintage dress! 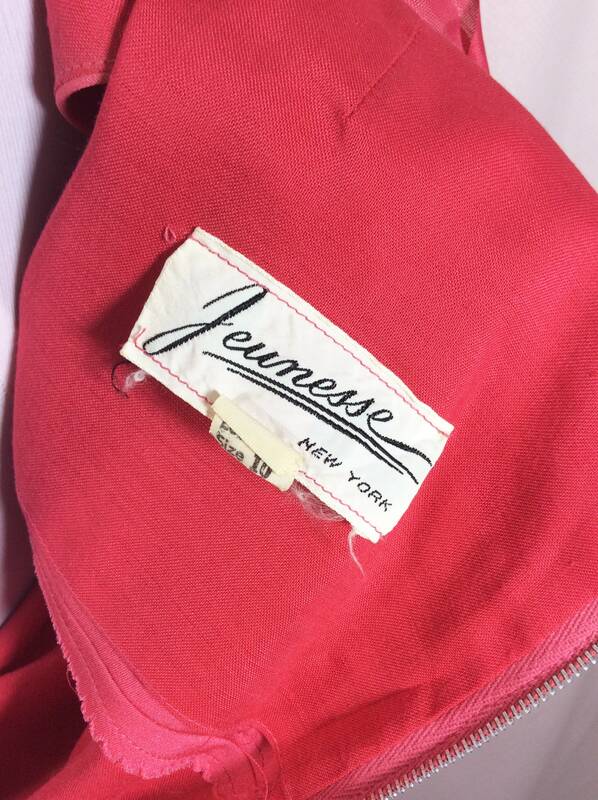 The dress was made in the USA by Jeunesse, NY. 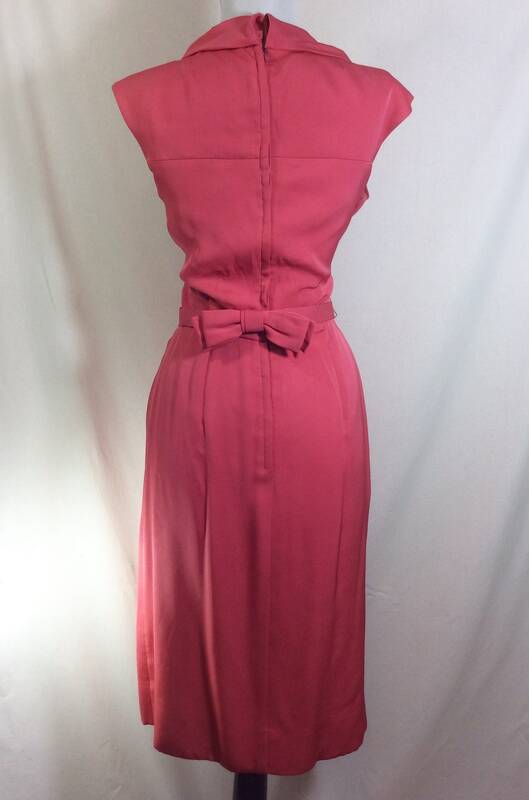 It is marked as a vintage size 10, but would best fit modern sizes 6-8. Please see measurments below to guarantee fit. 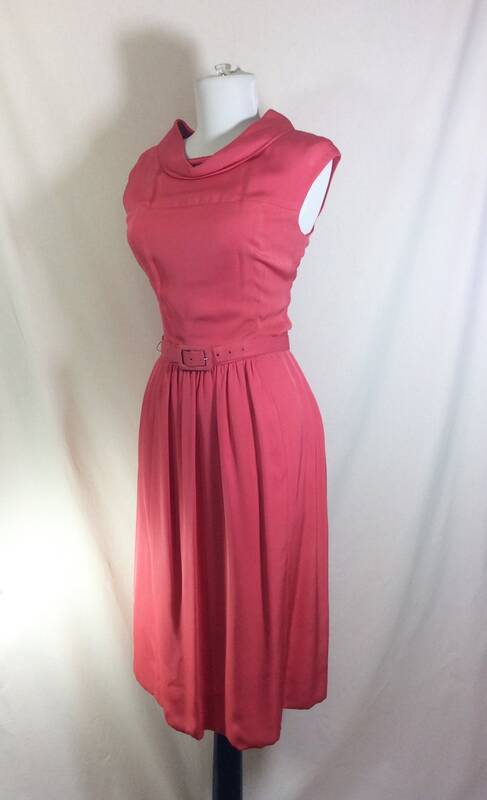 The dress is shown clipped to a size 4 dress form in the photos. This dress is well constructed and the details make for a very flattering silhouette. Darts at waist and bust accentuate the hour glass figure, while the draped cowl neckline draws attention up toward the face. 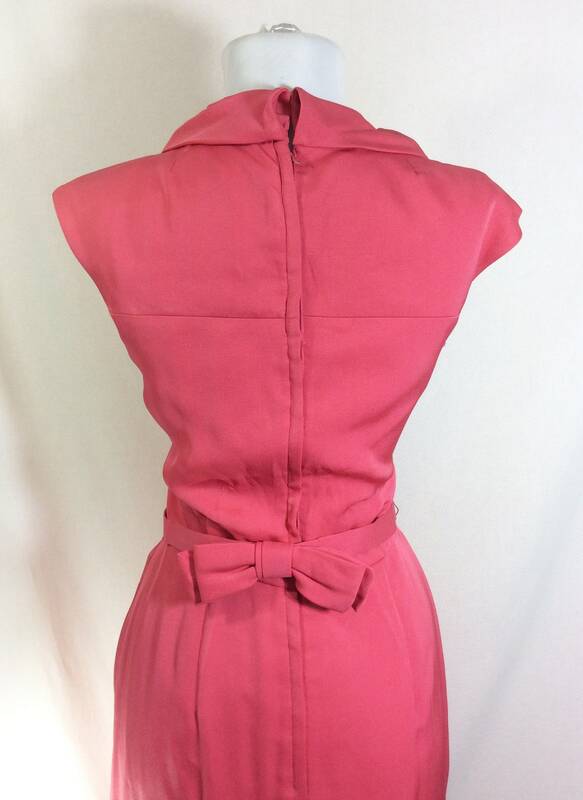 The belt has a fabric bow in the back and attaches to the dress with a small snap. The vibrant pink fabric is lightweight and has a silk-like feel to it, with little to no stretch. 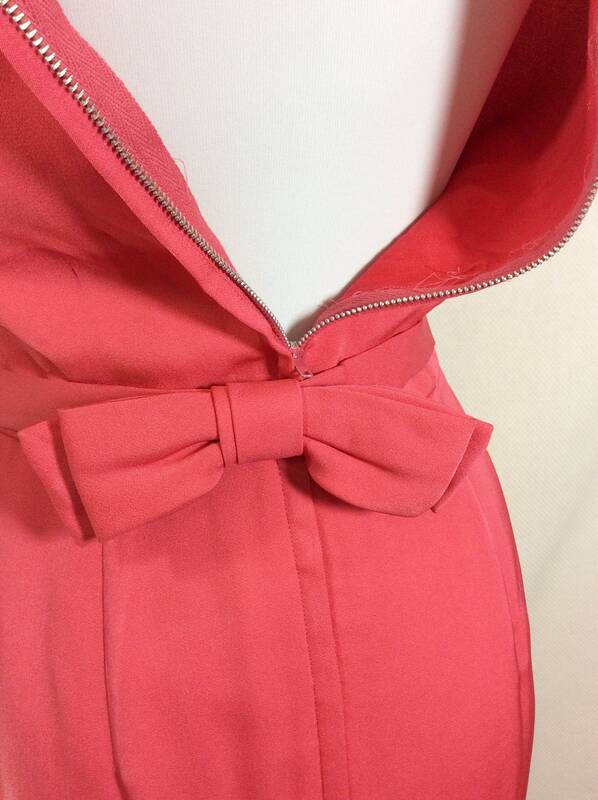 The dress is lined with cotton and closes up the back with a 20 inch metal zipper and hook/eye closure. 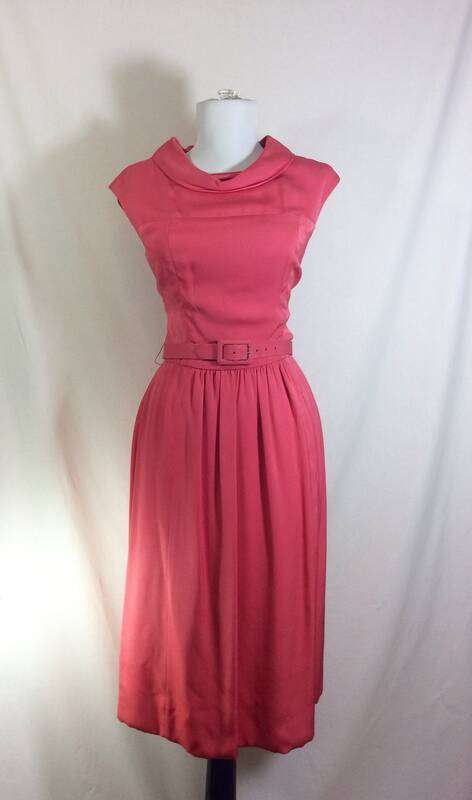 This dress would be the perfect attire for a cocktail party, wedding, or could even double as a costume to pay tribute to the great Jackie Kennedy! There are no holes, stains, or piling. 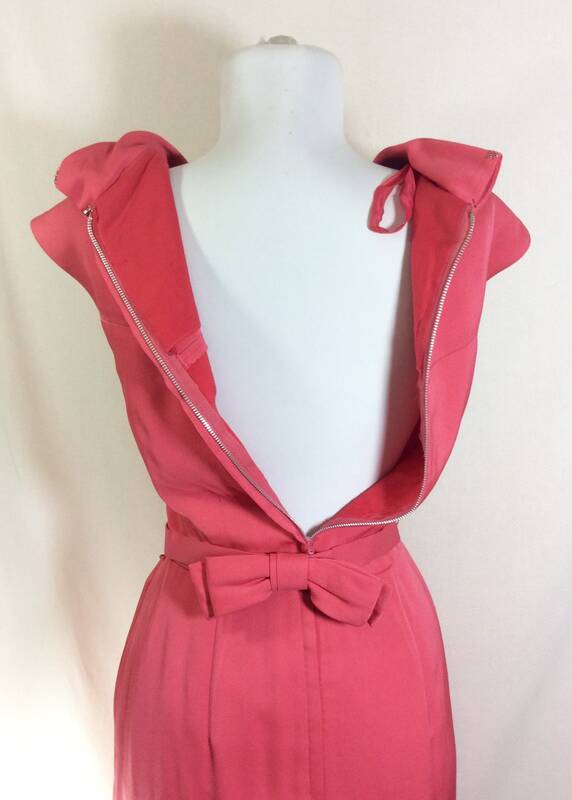 This garment is in great vintage condition and was stored in a smoke-free environment. Skirt length from natural waist to hem- 40 inches long.